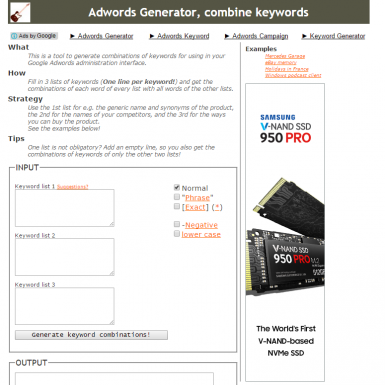 Adwords Generator is designed for Adwords, but is also good for finding keywords that you can use for SEO. 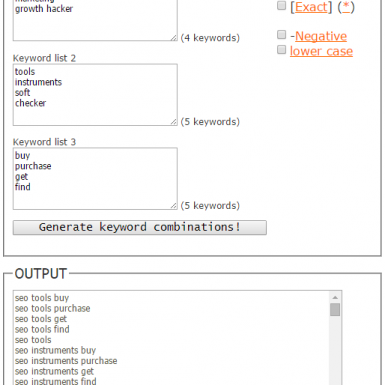 You are presented with 3 windows: pop in terms you’d like to combine (1 per line), and the tool will combine each keyword of each list with all words of the other lists, mashing them all together. 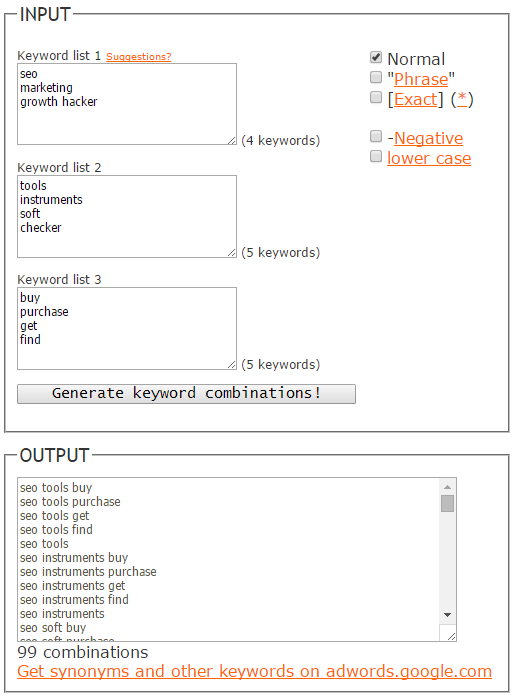 Then upload the list into Google Keyword Planner to check the metrics (volume, CPC). Tip 1: Use the 1st window for generic terms and item synonyms, the 2nd for the names of your competitors and the 3rd for the ways to buy the product. Don’t duplicate words. Tip 1: You can use only 2 lists if you don’t need the 3rd one – just don’t fill it in.